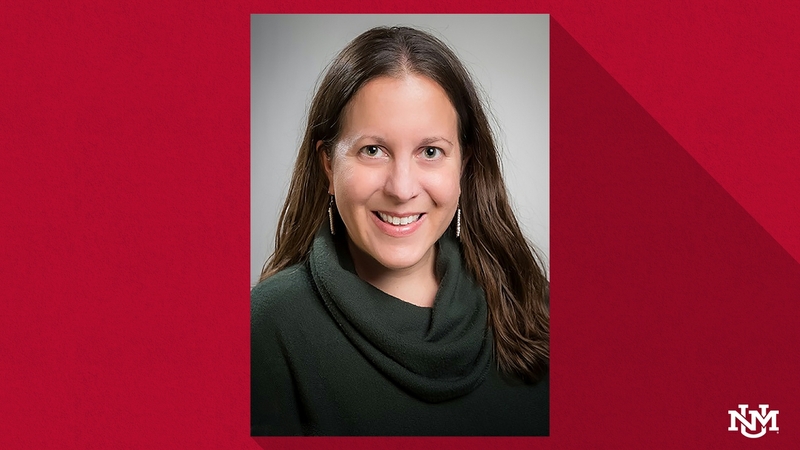 The University of New Mexico’s Cradle to Career Policy Institute (CCPI) has announced Dr. Elizabeth Yakes Jimenez as its interim director. She has been affiliated with CCPI — formerly the Center for Education Policy Research — in various capacities since 2011. As the interim director, Dr. Jimenez is responsible for coordinating all research, evaluation and administrative efforts within the institute, fundraising, identifying new collaborations, and setting the strategic direction of the center. In addition to her role as interim director, Dr. Jimenez maintains a research portfolio, with expertise in designing, implementing and evaluating clinical and community-based research studies, with a particular focus on maternal, child and adolescent populations. She is particularly interested in the intersection between the social determinants of health and child development and educational attainment. “I am thrilled to have the opportunity to support CCPI’s mission to provide high-quality research, evaluation and data analysis to support well-informed policymaking for children and families,” said Dr. Jimenez. Dr. Jimenez is a research associate professor in the Departments of Pediatrics—Division of Adolescent Medicine and Internal Medicine—Division of Epidemiology, Biostatistics and Preventive Medicine at The University of New Mexico Health Sciences Center (HSC) and is the director of the Nutrition Research Network for the Academy of Nutrition and Dietetics. She is a pediatric registered dietitian with a Ph.D. in epidemiology from the University of California, Davis, and an MS in public health nutrition and BS in human nutrition from Case Western Reserve University. Dr. Jimenez’s position as an HSC faculty member offers the opportunity to facilitate greater collaboration between CCPI and HSC, which will benefit not only CCPI but on-going UNM efforts to work together as one campus. After more than six years with CCPI, former Director Dr. Meriah Heredia-Griego has joined the W.K. Kellogg Foundation (WKKF) as an evaluation, learning and impact consultant for New Mexico. “I look forward to working with WKKF to use knowledge that drives impact and supports community-driven solutions for equity and well-being in New Mexico. It has been my honor to work with great researchers and partners at CCPI. I am excited to apply my academic research experience in the philanthropic sector,” said Dr. Heredia-Griego. Dr. Heredia-Griego will remain as research faculty at CCPI and maintain a small research portfolio in postsecondary programs and policy and cross-sector partnerships. UNM CCPI is an interdisciplinary research center housed in the Center for Social Policy (CSP) that conducts education-focused research to inform policy and systems change in education. The Center for Social Policy is a new initiative of the College of Arts and Sciences that will facilitate applied policy research within the College including the work of CCPI, the RWJF Center for Health Policy, and the Native American Budget and Policy Institute among others. CCPI concentrates on school and community health issues, public policy and evaluation related to early childhood education, K-12 education, higher education, workforce development, and juvenile justice. For more information about current projects and services, visit the CCPI website at ccpi.unm.edu or on Twitter @UNMCCPI.